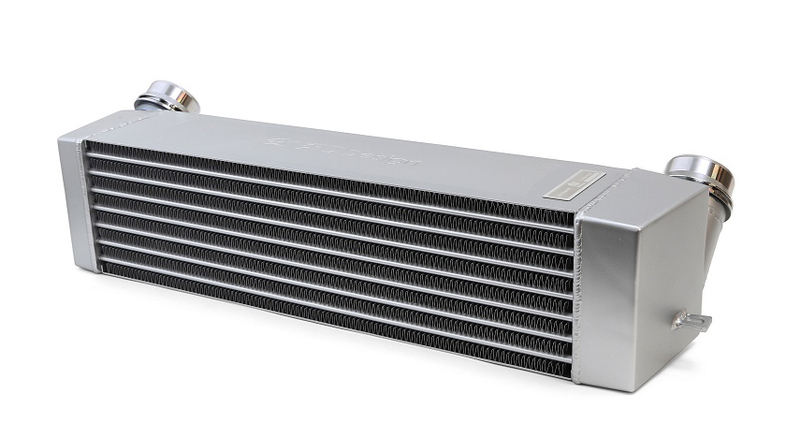 The intercooler cools air that’s been compressed and heated by the turbocharger, and is indispensable for making reliable, efficient power. 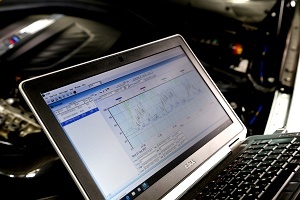 By having greater cooling capability and minimizing pressure loss, it provides an increased synergistic effect and better output stability, especially for cars with increased boost through DME/ECU chip tuning. A pressure drop is inevitable as heat dissipates, but a well-balanced system takes into account factors like tubing cross-sectional area, core size and design to minimize that loss. 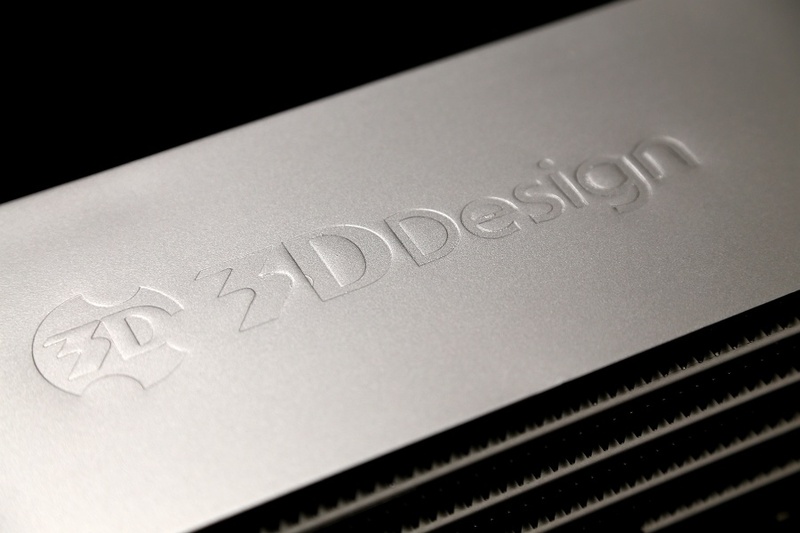 3DDesign’s larger intercooler maintains the cross-sectional area of the tubing, and the wave-patterned inner fins minimize pres-sure loss while maximizing cooling ability. 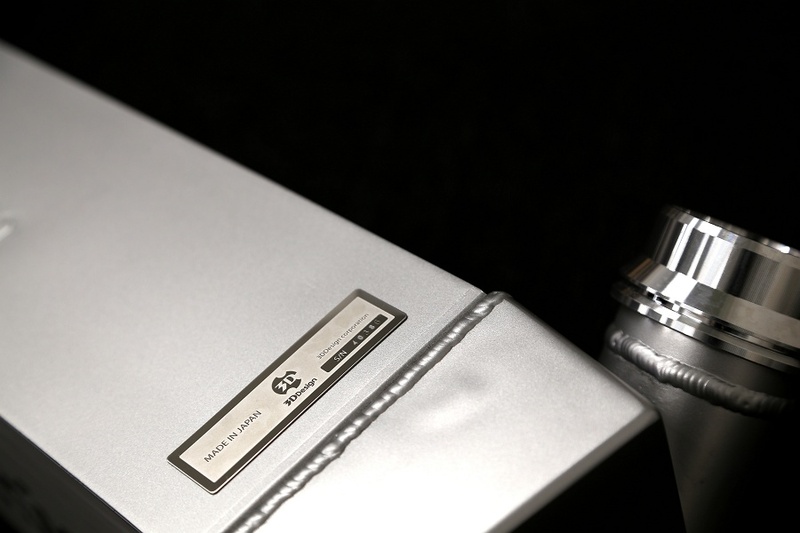 The end result is a peerless inter-cooler kit that takes cooling efficiency and minimizing pressure loss to another level. 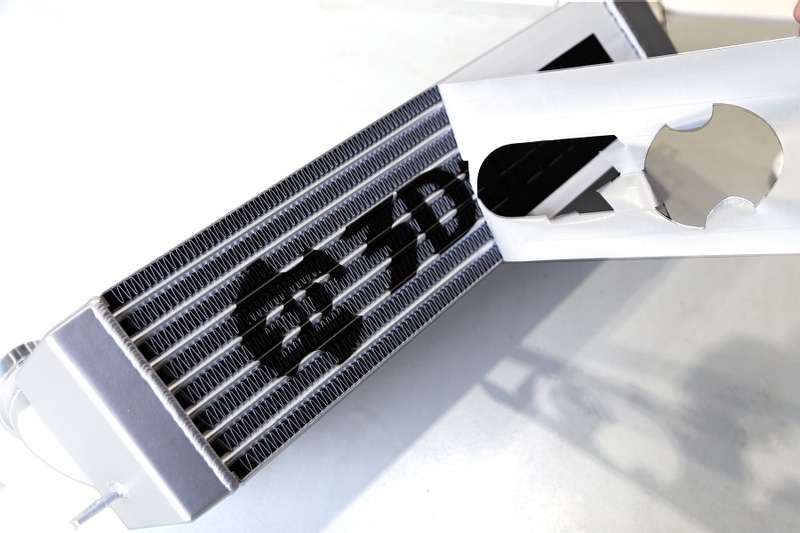 3DDesign’s bespoke intercooler kit provides improved cooling through a larger core and fine-tuning of the external fins and inner tubing. 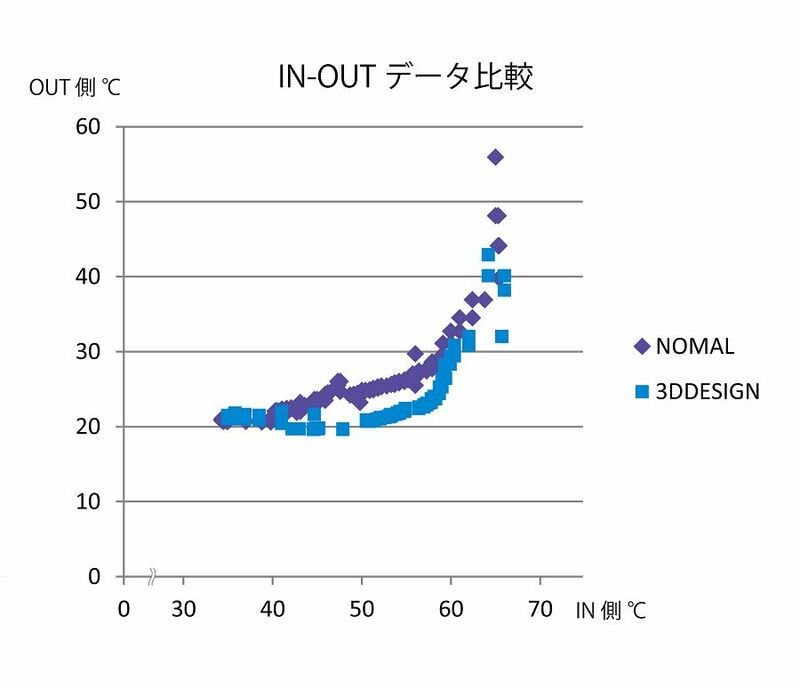 The graph comparing intercooler inlet and outlet temperatures, which shows consistently cooler outlet temperatures relative to stock. 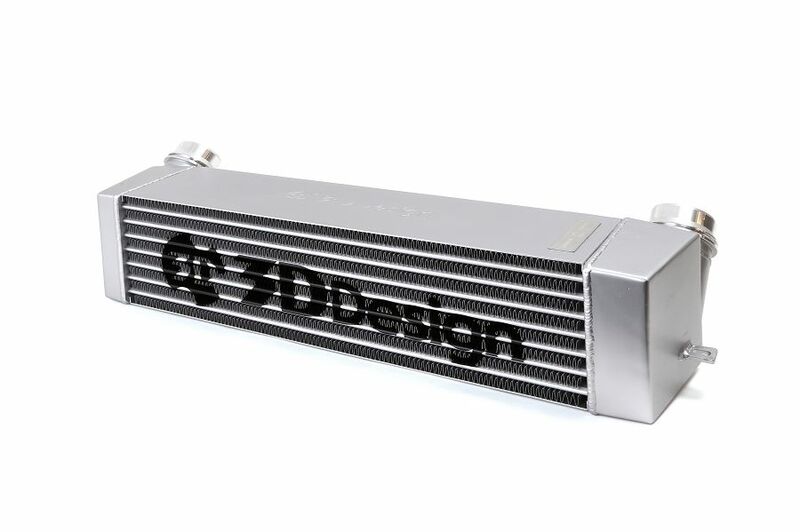 3DDesign’s intercooler core uses a triangular pattern for the outer tube, with air that optimally flows through the core fins for improved cooling. • Thin-tipped inner tubes and tall outer fins reduce air resistance, while the rate of heat transfer is increased due to greater air flow. 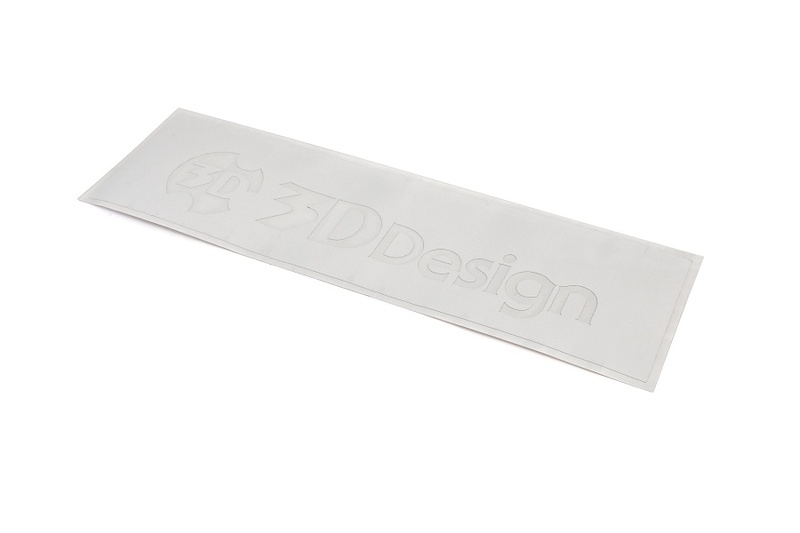 • Excelling at heat dissipation, the surface is specially treated to substantially increase heat transfer. 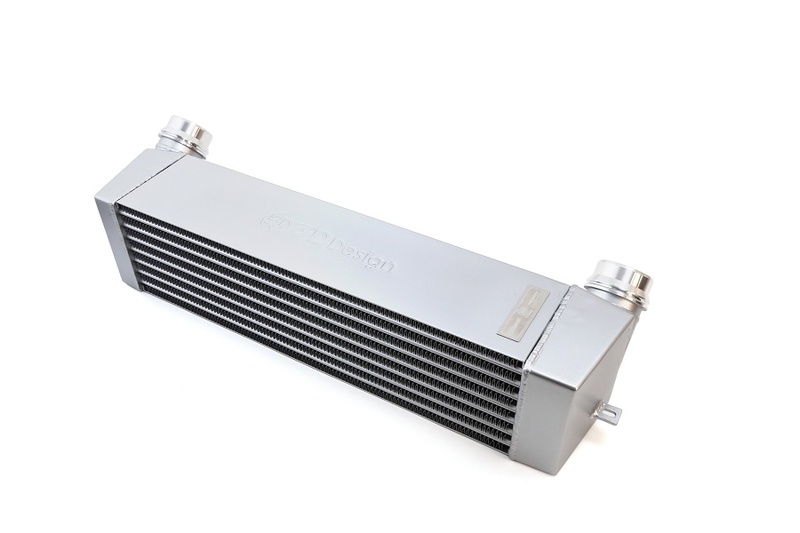 Rigorously track-tested, our intercoolers have been proven to perform under high loads, and outlet temperatures were 5-10 degrees Celsius cooler com-pared to stock in dyno testing and on the circuit. Adding other tuning parts (such as exhaust, booster chips or intake kits) in conjunction can complete your intake and exhaust system. BMW N55 engines / M2, M135i, M235i, etc. BMW N20-engines / 320i, etc. BMW N13 engines / 116i, etc.